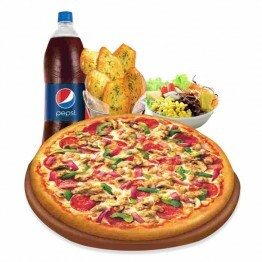 Enjoy it with this family pizza deal from Pizza Hut which includes 2 Large Pizza, 6 pieces of garlic.. 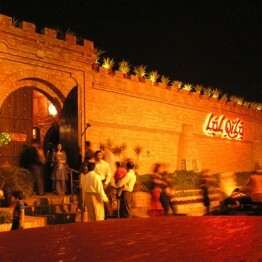 This Dinner buffet for One Person for your loved ones at Lal Qila in Karachi Pakistan. 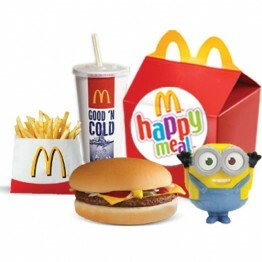 Dinner Arrang..
McDonald's Happy Meal For Kids comes with 2 Chicken Burger + 2 Regular Drink + 2 Fries + 2 Child's T.. 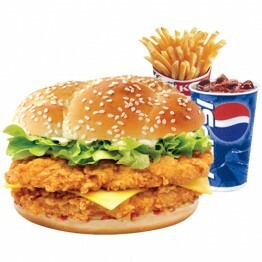 This delicious Mighty Zinger Combo that comes with 1 Mighty Zinger Burger + 1 Reg Fries + 1 Reg Drin.. 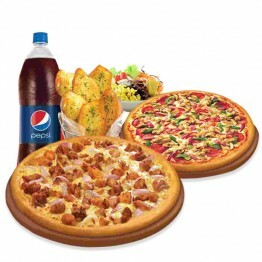 Surprise your loved ones with a Regular Pizza Meal at occasions such as Birthday, Anniversary, Chris..
Buy Pizza, fast food, KFC Pakistan, Subway and McDonald's, continental food deals online at special discounted prices. Don't miss out Meals & Deals Upto 80% off on all food deals.